The approaching hurricane had the big trout and redfish hungry!! 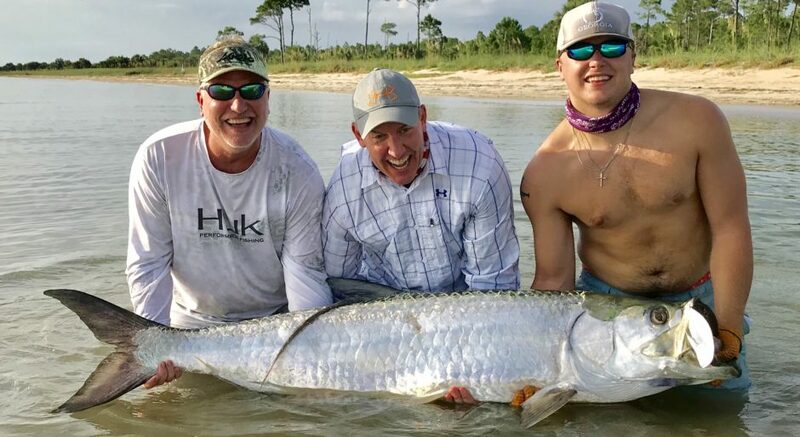 Posted in Fishing Charter Recent Posts	| Comments Off on Pre-Hurricane Big Fish! Big Trout On A Slow Day! The fishing was really tough today but Joey and Brent caught a couple big specks at 21.5”s and 23”s!! Brent also roped a nice redfish! Posted in Fishing Charter Pictures, Fishing Charter Recent Posts	| Comments Off on Big Trout On A Slow Day! Great People and Great Trips Today! I thoroughly enjoyed having Dennis and JoAnne in the morning and Amy and Rob in the afternoon!! Posted in Fishing Charter Pictures, Fishing Charter Recent Posts	| Comments Off on Great People and Great Trips Today! More Reds For The Jersey Boys! Marty, Mark and Larry we’re back again for some more awesome action on the flats!! Posted in Fishing Charter Pictures, Fishing Charter Recent Posts	| Comments Off on More Reds For The Jersey Boys! Always a great way to start the day with a redfish double first thing in the morning!! We went on to catch more redfish, big spanish mackerel, a few flounder and several speckled trout including a 25” stud!!!! Posted in Fishing Charter Pictures, Fishing Charter Recent Posts	| Comments Off on Doubled Up At Dawn! !